Brutally honest, touching and will slaughter your heart, a thousand times over. It takes a heart – a pain-struck heart to write like this. 12 years old Amir and his best friend & his servant’s son – Hassan are having the time of their lives in streets of Afghanistan. Unsuspecting of the future that will shatter their lives. But it doesn’t end there – Russians invade Afghanistan was same again, ever. More than 20 years later, Amir must return to Afghanistan, now under Taliban rule, to seek redemption for more than his share of sins. At some parts the story was treading a thin line between being shocking & touching and being an over-attempt. But Khaled Hosseini used that to his advantage. 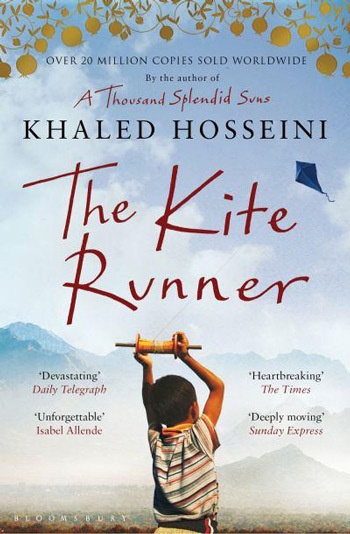 The Kite Runner is full of cultural context and references from Afghanistan. Some high-context cultural concepts are unexplainable with their English translation. I felt lucky to know the meaning of some of them. A rich culture always results in great art. The shocking contrast in book makes it into an emotional roller coaster ride. Brutally honest emotions – from confusion, to loathing and redemption – left me wiping my tears off, several times. It’s touching; but it’s not heartbreaking – it’s heart-slaughtering. It’s a simple story line. Ageing from a child’s perspective to an old mid-aged man’s perspective could’ve been handled better. Hosseini’s characters are a work of an observant artist – Baba, General Sahib, Ali, Hassan, etc. all well portrayed. His writing style is simple. It gets out of your way and lets the story play with you. On top of it, it is very well edited. Don’t expect a lingual genius, expect a genius and honest storyteller. Amir’s encounter with Assef was a little ‘hindi film’ style. Overall the book is nothing short of a contemporary classic. A must read; but be prepared to be slaughtered – a thousand times over. Your khala’s medical charts are like the works of Rumi: They come in volumes. “You are still the morning sun to my yelda,” I whispered. And one more thing, General Sahib,” I said. “You will never again refer to him as ‘Hazara boy’ in my presence. He has a name and it’s Sohrab. Published on August 22, 2013. Updated on December 9, 2013.